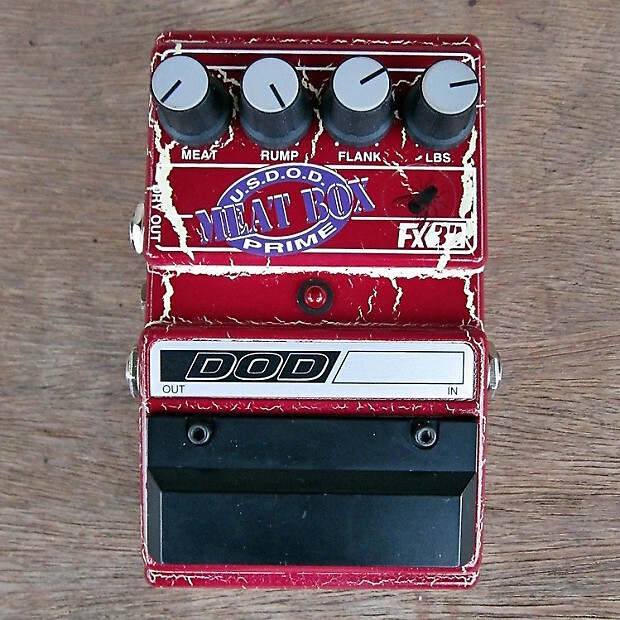 The DOD Meat Box FX32 adds a suboctave tone to the signal for added low end. It features controls for "Meat" (dry/wet mix), "Rump" (boost/cut of 35 Hz frequency band), "Flank" (boost/cut of 60 Hz frequency band), and "Lbs" (output level), as well as separate dry and wet outputs. The market for this short-lived sub harmonic enhancer pedal has exploded in recent years.